Do you want to learn a programming language, but you have no idea what the best programming language to learn is? 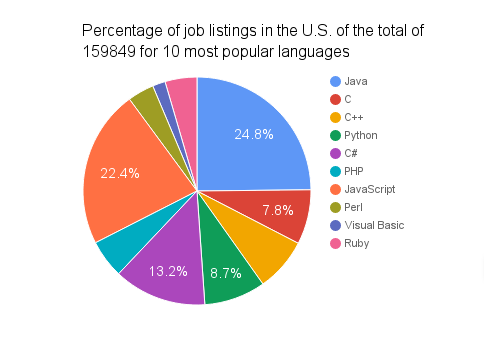 Admittedly, there are a lot of programming languages to choose from, even if you only include the most popular ones that dominate job listings all over the world. But once you determine what it is you want to do and what your priorities are, the task becomes much more easier. Let’s see how you can better inform your programming language choice. I admit the the title question is a tad provocative. The truth is that there is no best programming language to learn. But perhaps there is a programming language out there that is the best for you? Before we get to that, it’s worth it to mention the Tiobe index, which publishes regular reports on the popularity of programming languages. According to the June 2016 report, the first eight programming languages on the list have a market share of 55%, while the first twenty – just over 75%. We’ll be mostly (but not strictly) covering those languages. – first developed 1991, Python maintained high level of popularity over many years. As a matter of fact, it is currently the most popular introductory language for teaching computer science courses. It owes it largely to its great readability that makes learning and writing in Python a pleasant experience. The friendship between Python and science goes far beyond the courses for students. Python is the language of choice for scientific computing. With its large choice of tools for data extraction, it’s popular for data analysis as well as bioinformatics. Therefore, if you want to pursue a career in science, Python is one of your best choices. Some other languages for such applications include R (perhaps the closest thing to Python for data analysis). – according to the Tiobe index, Java is the most popular programming language in the world. As a general-purpose with 9 million developers, Java can be found in various places. It’s commonly used to develop powerful and complex web applications. It’s the language of choice for Android apps as well as for desktop apps and games. Most remarkably though, Java is extremely popular as a back-end language for enterprise-level applications. It’s report to be used by at least 90% of all Fortune 500 companies! If you would like to succeed in the corporate environment, Java is still one of your best bets. C++ and the .NET framework (which can also be used with the C++ language) are also worth considering. Also, much like Java is the language of choice for the Android platform, Swift and Objective C are indispensable when it comes to mobile apps for Apple devices. The popularity vs demand dependency is very closely related to the size of salaries on the market. The following table contains data on the median (the most popular) salary for software developers in the U.S. market (based on PayScale.com). Sensinum is a Polish software house providing companies, marketing agencies and teams with top notch software development services. Whether you need a subcontractor or want to cooperate with a software house directly, Sensinum offers you seamless communication and experienced developers regularly working on advanced projects. Give yourself a chance by contacting us and consulting your software idea for free. 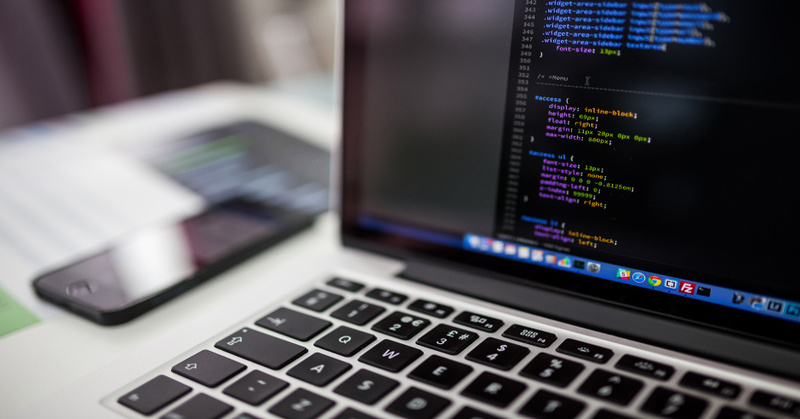 Also, get familiar with another of our articles – one that tackles the issue of proof of concept in software development. It’s a great way to avoid wasting time and money in software development projects.